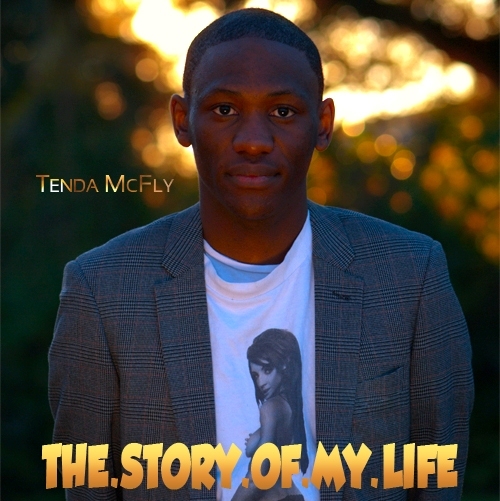 begins the title track of Tenda Mcfly's latest mixtape, 'The.Story.Of.My.Life'. A fair question in todays expanding movement of independent artists having to rely on self promotion to get their name out there without the help of a major label marketing machine. For the advancement of culture and art we can only hope that an emerging, unique talent like Tenda McFly can find an audience not only in cyberspace, but the universal matrix. According to Tenda's Myspace profile he is a self proclaimed "Martian", which is not hard to swallow if you were to sit his music on the same shelf as other hip hop artists from Australia. This is far from traditional and better for it. With influences from Lupe Fiasco, Chiddy Bang, Talib Kweli and indy rock artists like Oasis & Coldplay you get an idea of what a collaboration between Mos Def and The Verve might sound like. Tenda's talents don't only lie within the MC world, he has also competed at the AUSTRALIAN POETRY SLAM competition in 2009 & 2010. While you're there, download his previous album, 'Music & Popcorn', which displays more dimensions of Tenda's diversity. In the meantime we wait in anticipation to see what journey Tenda McFly will take us on next time with music made specifically for his style. Hopefully a best selling official release and tour that answers "yes" to the question - "Is anybody out there?"